Buses will be running continuously from the Maverick Activities Center from 6:00 - 9:30 p.m. on Sunday, February 7th. 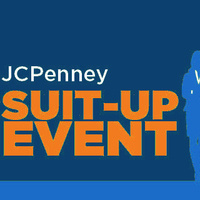 Be sure to bring your UTA student ID to be able to get on the bus - or drive yourself there and enter JCPenney at the Salon entrance. Really great event. Friendly staff who was willing to help and go above and beyond. I found everything I needed in no time.